Hometaurus was approved as an Authorized MLS IDX Vendor by MLS for SouthEast Florida region. The IDX feed designed according to RETS standards that is an acronym for Real Estate Transaction, a framework used in Canada and United States to facilitate data exchange.RETS was launched in 1999 by the National Association of Realtors and it has become an industry standard. The Rets framework allows updating listings information and providing results on new properties that come up in the market without the need to download and compare databases every time that the search starts. The Florida Association of Realtors was one of the first real estate associations to adopt data exchange protocol. The system was originally knows as “broker reciprocity”, then “Internet Data Display (IDD)” and now it is commonly known as “Internet Data Exchange (IDX)”. Hometaurus is the IDX powered real estate site that is now bringing data exchange opportunities, and business leads to progressive real estate brokers in Southeast Florida region. 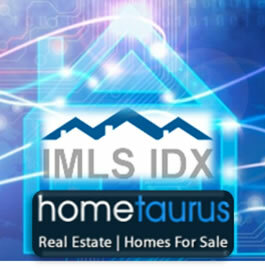 As Authorized MLS IDX Vendor, Hometaurus offers service of data feed with information about real estate listings to its members. The service also includes analytics, valuable information about visitors, searches conducted on the website, information on historical sales, neighborhood, schools, and stores in the area and other insights. Empowered with this information, brokers and real estate agents know the needs and wants of potential customers that can lead to a successful sale. Hometaurus has recognized changes in the real estate marketplace, and necessity of the IDX powered real estate website. More savvy customers can research the listings themselves using the search engine and without entirely relying on the broker for expertise on prices, location and sales history in the area. It is essential for the real estate agent to capture the analytics on the customer and offer his or her service at the right time to close the sale. Effective follow-up strategy becomes a rewarding practice for lead generation and ultimately a close deal. Hometaurus offers to its members search engine friendly design and option for visitors to register for updates, newsletters, and other valuable information. It also provides easy to navigate listings directory, connection to real estate agents, live chat, and service section Gansoo to locate contractors, cleaners, landscapers and many other features. Search engine friendly IDX software gives website owners control over modifying page attributes including titles, focus keywords, header, meta description and content for listings pages that displayed on the page to visitors. Google, Bing, Yahoo and other “robot spiders” automatically “crawl” the website and index newly added pages. After that the pages are automatically displayed to people searching for houses for sale or any other keywords on the search engine. Also, Hometaurus is optimized for mobile devices and uses responsive web design. The information displayed on the screen adjusts to the equipment used for browsing. Bruno Linares, the founder of Hometaurus, believes that mobile browsing will exceed regular desktop access in the next two years. Hometaurus managements is ready to serve consumers on the go providing valuable information and generating leads for its member’s real estate brokers and agents looking for quality lead generation from popular search engines. Real estate brokers and agents need to take advantage of changing technology to generate leads from the web search engines; otherwise, they stay behind in the real estate world.